One of Texas’ oldest ghost towns, the community that was formed here in 1832 was without population by 1884. It had originally been named Santa Anna, after you-know-who, but in 1835 as war clouds formed, the community was renamed Texana. During the Texas Revolution Texana became a port of entry for American volunteers. 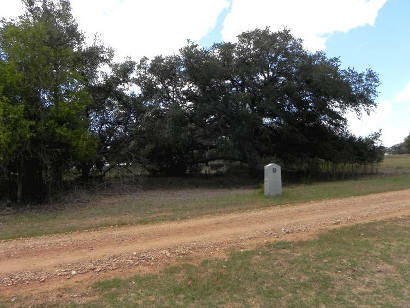 Shackelford's company of Alabama Red Rovers bivouacked here before marching to their fate at Goliad/Fannin. The town was abandoned (the first time) as part of the “Runaway Scrape” when Anglos fled in fear of Santa Anna’s advancing armies. 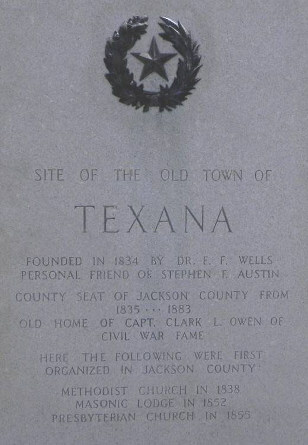 Texana became the county seat when Jackson County was formed after the Revolution. 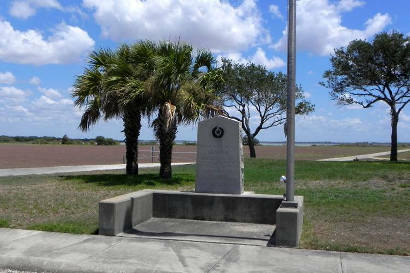 The Army of the Republic of Texas established Camp Independence near Texana in 1836. 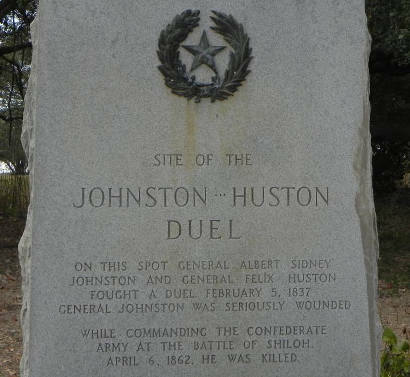 The camp was the scene for one of Texas’ most celebrated duels – involving Felix Huston and Albert Sidney Johnston. Appointed as Commanding General of the Army, and authorized to take command from Huston, the two men quarreled, resulting in the duel in which Johnston was shot through his hip. He survived to serve as secretary of war for the Republic, and a Colonel in the Mexican War. He later commanded a (Union) Cavalry regiment and resigned to join the Confederacy when the Civil War began. He was appointed to the rank of general by Jefferson Davis. On April 6, 1862, he was killed while leading his forces at the battle of Shiloh. He was temporarily buried at New Orleans. By special appropriation of the Texas Legislature, in January 1867, his remains were exhumed from a temporary grave in New Orleans and transferred to the State Cemetery at Austin. 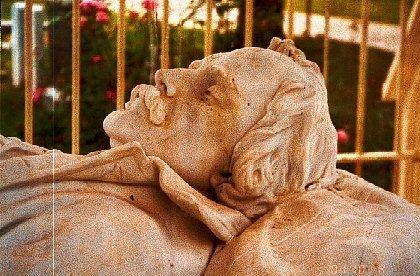 In 1905 famed sculptress Elisabet Ney carved the recumbent statue which has become something of a centerpiece at the cemetery. Texana was thriving in the 1880s and was a hub for stage lines. It remained a port for steamships – and it was reported that as many as 20 ships arrived each week. 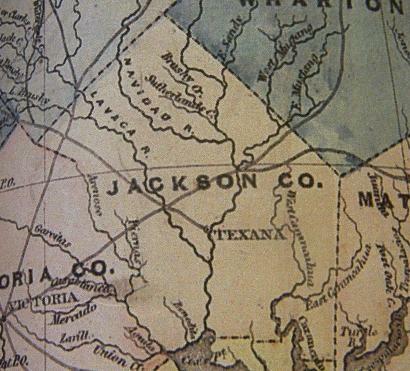 But the town was hit by a double-whammy in the mid 1880s when it was first bypassed by Count Teleferner’s New York, Texas and Mexican Railroad in 1883, and shortly thereafter, lost an election to Edna for the Jackson County seat of government.